The efficiency of an induction heating system for a specific application depends on several factors: the characteristics of the part itself, the coil design, the power supply’s capacity and the degree of temperature change required. 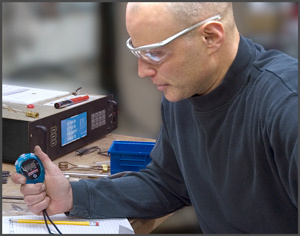 IA’s independent engineering staff has the experience to take your part and design an induction heating solution around it, determining the optimum coil design, capacitor configuration and power supply for effective, consistent heating. In our Applications Lab, we’ll evaluate your part samples and determine the best heating approach for your application. Although the basic principles of induction heating theory are well known, it requires many years of experience to refine these principles into cost-effective industrial manufacturing solutions. We'll analyze all your requirements, determine the optimum combination of RF power and coil configuration for your parts and give you our best advice! With our free parts evaluation service, you can tap into our reservoir of induction heating experience with out any purchase obligation. The GH IA engineering staff has worked with parts of virtually every size and shape in hundreds of different applications. GH IA has a complete in-house metallurgical laboratory for the evaluation of brazing and hardening applications. Our capabilities include the sectioning, metallurgical mounting, polishing, etching and metallographic examination. 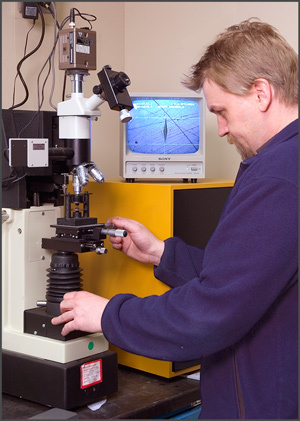 We also have the capability of performing microhardness testing and standard Rockwell testing of hardened parts. Having the ability to do microhardness testing allows us to determine the exact case depth required for case hardening applications. Our in-house metallurgical laboratory reduces our process development and machine testing time. It provides our customers with the assurance that our turnkey heating sytems will meet their brazing and hardening process requirements. Free parts evaluation in our Applications Lab. We have a complete in-house Metallurgical Lab.